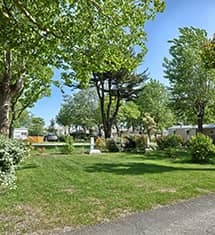 Camping pitches for tent, caravan and campervan for your holidays in Châtelaillon-Plage. 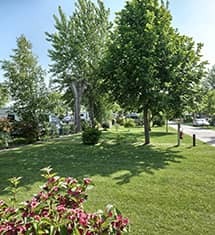 On a premises of 3 ha, our campsite has 157 pitches of which 116 are especially for tent, caravan and campervan. The camping pitches are delimited and about 90m² each. A large part of the site is partly shaded. There also is a part of the site where the pitches are not square but with a lot of curves… this part is much appreciated for the various plants and shrubs. The site is equipped with European electric hook up so don’t forget to bring the European adapter.